Onlookers follow as Gallia Academy High School Band plays patriotic tunes down Second Avenue during last year’s Memorial Day Parade. GALLIPOLIS — Retired Colonel Bob Wetterstroem will serve as this year’s keynote speaker for the Gallipolis Memorial Day Parade and ceremony. He graduated from Xavier University with a Bachelor of Science degree in economics and was commissioned in the field artillery as a distinguished military graduate. Following his retirement from the Army, Wetterstroem served as Deputy Commanding General with the Ohio Military Reserve for four and a half years. He and his wife Rita Hyle Wetterstroem live in Cincinnati. They have two children and three grandchildren and will celebrate their 50th wedding anniversary, June 1. The Gallipolis Memorial Day Parade will be held May 28 and organized by the Gallia Veterans Service Commission. All veteran service organizations, businesses, foundations and community groups are invited to participate. Groups interested are asked to contact the service office at 740-446-2005 no later than May 25. The parade will begin at 10:30 a.m. and end at City Park at 11 a.m. with a ceremony to follow. 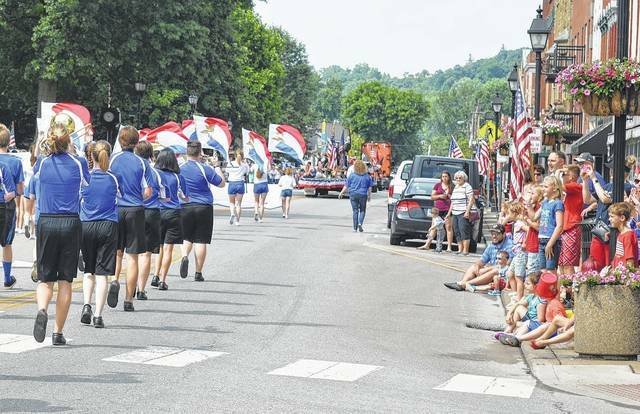 https://www.mydailytribune.com/wp-content/uploads/sites/42/2018/05/web1_DSC_0441-1-.jpgOnlookers follow as Gallia Academy High School Band plays patriotic tunes down Second Avenue during last year’s Memorial Day Parade.